As I was thinking over what I reached for repeatedly in August, it occurred to me that the things that I delighted in the most were a handful of beauty oils. The weather was quite warm and I often only used an oil for moisture topped off with a sunscreen and a tinted moisturizer, or a light foundation. More than anything I just really wanted to let my skin breathe during the high heat. That said, these stand among my very favorites for all twelve months of the year! While my list of luxury face oils loves are many there are four that I reached for the most in August, and among the attributes that made these my favorites were their light textures, fast absorbency, and rich moisture. These four are, in a word, sublime. *African Botanics Neroli Infused Marula Oil (reviewed here): As I noted previously, "there is something magical about Neroli Infused Marula Oil from the feather light texture to the sweet and understated smell of the Neroli. It is a thin potent oil that immediately sinks in and gets right to work." According to Julia Noik, "Marula Oil is lightweight and quick-absorbing, but at the time is very nourishing, thanks to the Omega 9 content of the oil (70% - 80%). It is the fastest way to deliver essential nutrients and vitamins to the skin." This lovely golden elixir sinks in immediately, deeply nourishes the skin, and leaves skin balanced and glowing. It is without question one of the finest luxury beauty oils on the market today. The warm floral scent is intoxicatingly beautiful, and every time that I smell it I have a sense of pronounced wellbeing. This is an utterly extraordinary oil, and now I need to try their Pure Marula Oil-- which I know will be as phenomenal as this gorgeous oil! 63 ml / 2.14 fl oz for $85.00 from African Botanicals, SpaceNK, Skin Care RX, Skin Store, Dermstore & B-Glowing. Rodin Olio Lusso Luxury Face Oil (reviewed here): I am just as smitten with this gorgeous luxury face oil today as I was when I first began using it. There are no wild claims made that this ultra luxe oil will immediately eradicate the ravages of time, or that it is the ultimate fountain of youth culled from a newly discovered region in some far off exotic land, or that it will immediately make you appear 10 -20 years younger. This magical elixir leaves my skin looks clear, bright, rested, even-toned, moisturized, utterly hydrated, and deliciously glowing. It was the first oil that competently and thoroughly healed up two little dry patches on my face, and it did so quickly and gently. The jasmine scent is other-worldly and addictive, and I will use this delectable oil as long as it is being made! 1 oz. for $150.00 from Barneys New York, Beautyhabit, Dermstore & B-Glowing. *TATCHA GOLD Camellia Beauty Oil (reviewed here): If ever there were an ultra-luxe oil, this is it. This precious 24 Karat Gold infused luxury oil is feather light in its consistency yet among the most nourishing oils that I have ever tried. As I previously noted, "TATCHA GOLD Camellia Beauty Oil is among those extraordinary beauty oils that quickly distinguishes itself from the many run-of-the-mill oils on the market. Not only is it made from the highest quality ingredients, but this elegant elixir is featherlight, sinks into the skin immediately, leaves behind no greasy film or residue, and gives skin a stunning ethereal glow. If you are obsessed with luxury beauty oils, as am I, then you owe it to yourself to try this one." You will feel like royalty while using this gorgeous gem of a beauty oil. The light Camellia scent is uplifting to the spirit, and utterly magical. *evanhealy Rosehip Treatment Facial Serum Rose (review forthcoming): Seldom is it that a product makes such an impression on me that it gets heralded as one of my favorites prior to having been thoroughly reviewed, and yet evanhealy Rosehip Treatment Facial Serum Rose is no ordinary face oil. From the moment that I first tried this during my evanhealy facial with Joan Shure at the Pharmaca Friends & Family Event (featured here, and then during my 90 minute facial with Joan yet to be reviewed) it was clear to me that this remarkably effective beauty oil was indeed quite special. While this stunning amber elixir is lightweight and fast absorbing-- it is among the most nourishing and hydrating oils that I have tried. It plumps fine lines, fades hyperpigmentation, evens skin tone, balances skin, and leaves skin with an ethereal glow. It is a delight to use, and the rose scent is just heavenly. 0.5 oz for $29.95-$29.99 from evanhealy and Pharmaca. Overall Assessment: A pretty happy August, I'd say! I'm so smitten with these four luxury oils that I continue to repeatedly reach for them in September as well, and frankly will continue to do so for a very long time to come! Isn't that a great thing?! It's the perfect way to try it to see if you love it before making the investment! I think that it is also great that Tatcha doesn't mark up their travel sizes the way so many other brands do. The sizes are perfect for travel, but they're also perfect as trial products. There is enough product so that the customer can really get a sense of how it is going to work over time. I agree completely-- it is lovely that it is affordable, and as you and I both know-- once someone tries it they will be hooked! Isn't it lovely to have an abundance to choose from?! What other beauty oils have made it to your coveted collection? I think that it is safe to say that you and I are both bonafide beauty oil junkies! I completely agree that there is an oil (or two or twelve :) for ever occasion! LOL! Let's see. 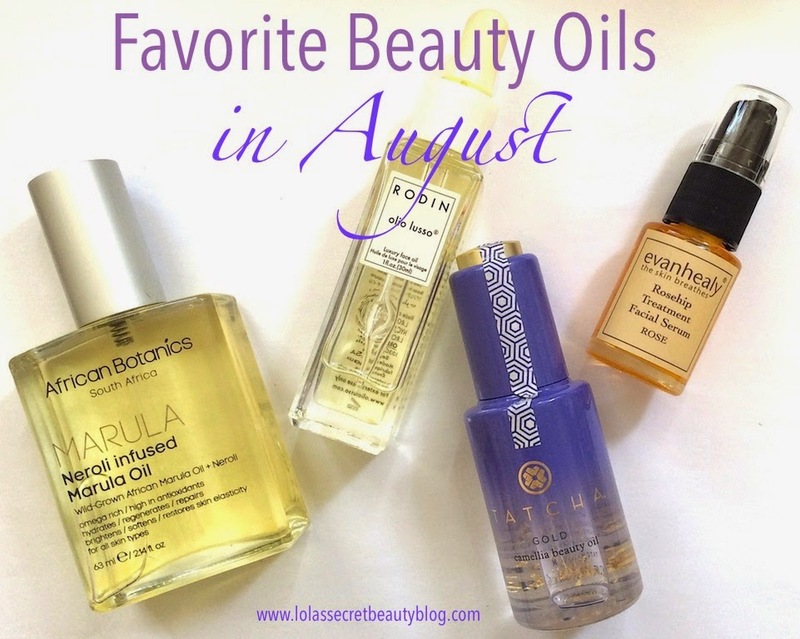 . . current loves are Tatcha Camellia Beauty Oil (Hands down favorite. ), Sisley Black Rose Precious Face Oil (Makes my skin look and feel like velvet), La Prairie Cellular Swiss Crystal Dry Oil (Love, but yikes! 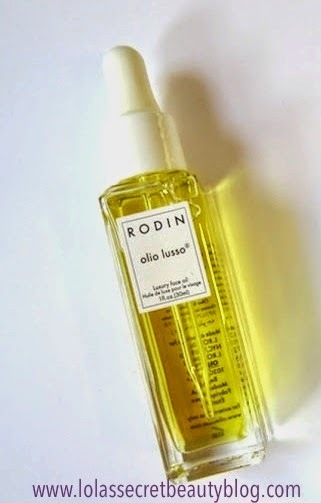 $$$), Rodin Olio Lusso (A classic for good reason. ), and Caudalie Divine Oil (Great body oil with a light spa-like scent). I just bought ByTerry Huile de Rose but haven't opened it yet. I've tried so many beauty oils over the years--from the ridiculously cheap to the insanely expensive--and have found oils to love at every price point. I've actually come to prefer oils over creams and lotions. They work well for me whether used alone or in conjunction with my various serums. As silly as it may sound I tend to select whichever I am in the mood to use at that particular moment. These are all very nourishing and lightweight fast absorbing beauty oils therefore my criteria for selecting may have to do with the particular smell that I crave at the moment. This is not always the case-- for instance some of my other oils are thicker and richer, or may contain certain ingredients that I want to use to treat the particular needs of my skin at that moment. I generally assess the needs of my skin each day and select the products that I use accordingly, and I am always rotating different products-- and therefore seldom use all of the same products each day. Of course, all of this is possible because I have amassed a rather large selection of skincare products-- but I tend to like to switch things up. Can you tell me if the scent of Neroli in the African Botanics Marula Oil is the same (both in scent and intensity) as the Kerstin Florian Neroli Water (my favorite!)? I remember you tell me about your love of the Kerstin Florian Neroli Water long ago-- I know that I have smelled it before, but I don't have it-- so I can't compare, sorry :-( The African Botanics Neroli Infused Marula has a lovely floral scent, but the Neroli isn't as powerful as it is in some of the Neroli Infused products that I have smelled before. I would classify it as a lighter scent that does fade, but it is a beautiful and entirely pleasant scent. You have a better memory than I do! ;-) Thank you for your help. I'll have to try it in person. Enjoy the rest of your weekend! Hey Helen, I am a big oil fan as well, but I haven't tried any of these! I have been really intrigued by African Botanics. I think it is before long that I grab something from the brand! I so want to try the Tatcha one.